Nowadays, if your WordPress security approach is passive you are inadvertently playing with fire. All your hard work could turn to dust in the blink of an eye with just one security attack. As a website development tool, WordPress plugins are popular for a great number of reasons. They extend a website’s functionality and flexibility. However, they can also be a route for malicious attackers to reach your site. If a plugin isn’t updated properly, it can leave a door right open, making you vulnerable. Adding certain security improvements are definitely not a waste of time. You will be assured of your online identity safety at the very least. More importantly, you will be protecting your website from any credible malware, hacks, spam, bots, and other such dangers. In this article, we are going to talk about some of the most reliable and feature-rich security plugins. Let’s dive in. From the House of BlogVault Backup plugin, MalCare was built to tackle all the issues for which backups are required in the first place. It is an intelligent malware Scanner and Cleaner within built Site Hardening and Management capabilities. Instead of looking for only known malware, MalCare pulls out even unknown complex malware completely, with one-click. MalCare scans daily automatically, but Forced One-Click Scans are also possible. With the One-Click Automatic Clean feature, you can clean up your website with an easy D.I.Y approach. It implements WordPress recommended best security practices for Hardening your site. A website will never slow down due to MalCare because it runs on its own servers. MalCare keeps false alarms to the minimum by verifying malware presence automatically. It keeps track of all the changes in your files without affecting your site. MalCare helps you keep a backup of your site with BlogVault’s advanced Incremental Backup technology. MalCare includes all security features like Scanning, Cleaning, Site Hardening Protection and Management in one dashboard. Together with BlogVault, MalCare takes care of all aspects of website management. There is a Free version available with a Scanner and Firewall protection included. And the pro version starts from $8.25/month. iThemes Security (also known as Better WP Security) provides a wide variety of features to secure your WordPress site. It can lock down WordPress, fix common holes, stop automated attacks, and strengthen user credentials. It lets you rename the content directory, database table prefix, login URL to protect the site. It enforces the usage of the latest versions of the themes and plugins. It enforces strong passwords to all user accounts. You can keep malicious bots and hackers away from login page with the vacation mode. iThemes Security allows you ban the IP addresses of known attackers from your site. It monitors your files to check for any changes. It prevents brute force attacks by banning users and bots with repeated failed login attempts. It can track user activity like when they log in, edit content and logout from the site. It can detect vulnerabilities and fixes them in seconds. iThemes Security provides Two-factor authentication, Google reCAPTCHA and prevents unauthorized changes in the file system. Ticketed Support is available only for Premium users. Scheduled malware scan, two-factor authentication, password expiration, user logging and Google reCAPTCHA are available for premium subscribers only. There are no free versions available. But the pro version starts for $80.00 /year. The free version WordFence has an excellent download rate, but it offers limited features. However, this open-source security software is very popular amongst WordPress users. It takes brute force prevention seriously and even goes so far as to enforce strong passwords and includes Two Factor Authentication as well. WordFence scans sites files and provides a detailed list of files which WordFence thinks might be compromised. Server-side caching tool enhances site performance. The firewall blocks attacks, malware and any backdoor vulnerabilities you may have on your site. WordFence also alerts you via email to updates you need to make to your site security and plugins. It lets you check in on the live traffic stats on your site. WordFence support helps users with some other major plugins and themes as well. Paid plan members get support priority. Email alerts for non-immediate threats are might lead to false alarms. The plugin scans the entire website for malware each time taking up a lot of your server resources. This could affect your site’s performance if you are on a shared hosting environment. Only premium version has important features like Real-time monitoring, mobile phone sign in, scheduled scan, password audit, advanced spam filter, and country blocking. Sucuri’s products and services are fully compatible with and cater to WordPress, Joomla, Drupal, PHP, .NET, and HTML. For any potential security attacks, the Active Monitoring Log present in the Cloud helps to investigate malware presence. Sucuri’s firewall blocks hacks and DDoS attacks immediately. With Sucuri’s WAF, IPS, Monitoring and Alerting System, your website will be less vulnerable to attacks. With a response team at your call, you can get your website cleaned up and running under several hours. If you decide to use the Sucuri CDN service, you can expect increased customer satisfaction rates, more page views, increase conversion rate and decreased bounce rate. Sucuri team researches and reports potential security issues to WordPress core team as well as other plugins. Firewall and scheduled scans are available only in the premium version. SecuPress is a media product that focuses on Scanning in six parts: Login or User, Plugins and Themes, Core, Sensitive data, Malware, and Firewall. The plugin lists down all the issues on your website which can make it easier for you to handle them. SecuPress sends emails alerts continuously in case of critical brute force attack. On SecuPress, the options available for various security services are presented clearly. It can move the authentication page to the admin (login form) to another address, which can save you from the Brute Force attacks. It enforces Strong Passwords, Passwords Lifetime, Double Authentication, Profile page protection, WordPress Updates, and IP Whitelisting. It handles additional security features (Disables .zip Uploads, Themes, Plugins, XML-RPC, REST API, Hotlinking). 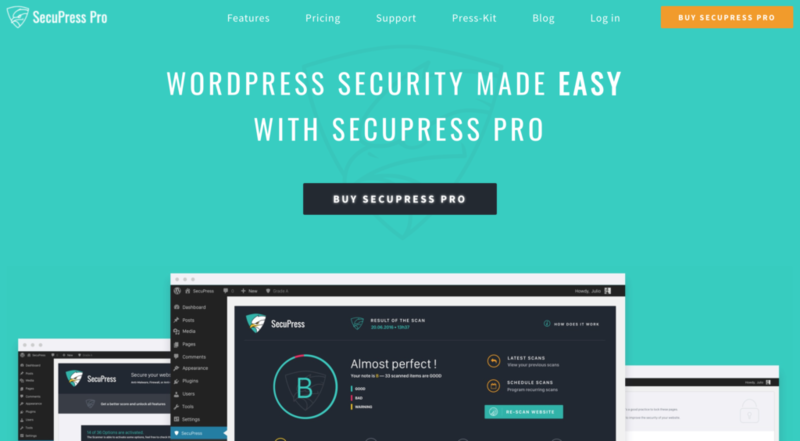 SecuPress for a single site is more expensive than multiple sites. Multisite usage is possible only for more premium versions. 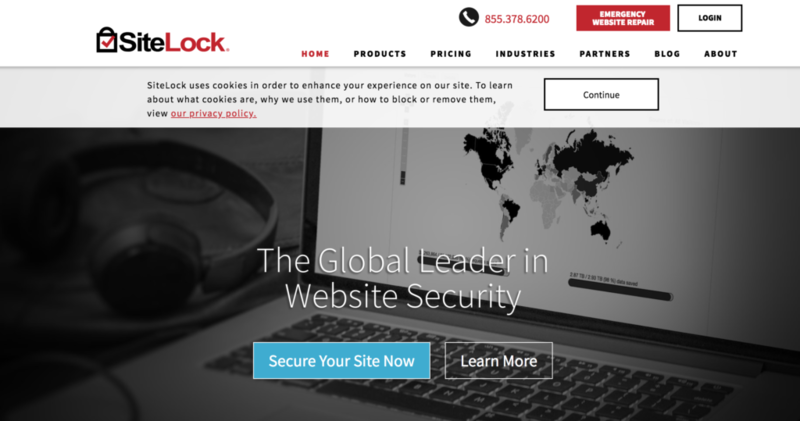 SiteLock is a cloud-based suite of products offers automated protection to websites. With SiteLock you get DNS level firewall that performs daily malware scans and also enhances website performance. It gives detailed malware reports based on which you can take appropriate action. SiteLock offers broad range security to protect all aspects of your site. SiteLock scans your website repeatedly to detect and remove malware. Scan your website for malware in draft mode. Depending on your negotiation skills, it may be a low-cost option. It analyses website via white-box testing. The firewall blocks harmful requests. Costs can vary wildly between each customer. SiteLock prices varies from user to user. It is understandably hard to keep up with all the security requirements for a website on your own. In this way, it simply makes more sense to let a security plugin do all the work for you. Pick the plugin that you believe works best for your website with everything from malware scanning, cleaning, and website maintenance. I'm Akshat Choudhary, the founder and CEO of BlogVault, MigrateGuru & MalCare. I love building products that solve real problems for real people, and have been building systems and products since 2005. My core beliefs behind building any product are to make sure the end-user doesn't need assistance and to assist them in the best possible manner if they need it.